Size 19.6 x 21.7 mm. Weight : 3.07 grams. Grade : XF/VF, well-centred with full inscriptions, with an brown patination. The reverse only can be graded VF as it was struck with a slightly worn die. Obverse : Head of Gallienus right, with IMP GALLIENVS AVG around. 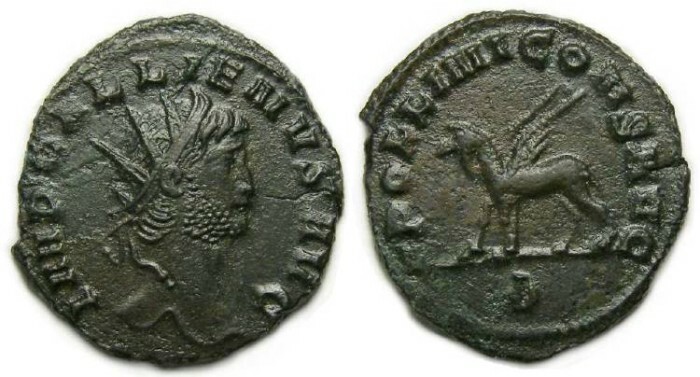 Reverse : Griffin walking left, with APOLLINI CONS AVG around, with a B officina mark below.